Sunrise from high above the Alpine Visitor Center and Trail Ridge Road from the top of the hill known by NPS Rangers as 'heart attack hill'. 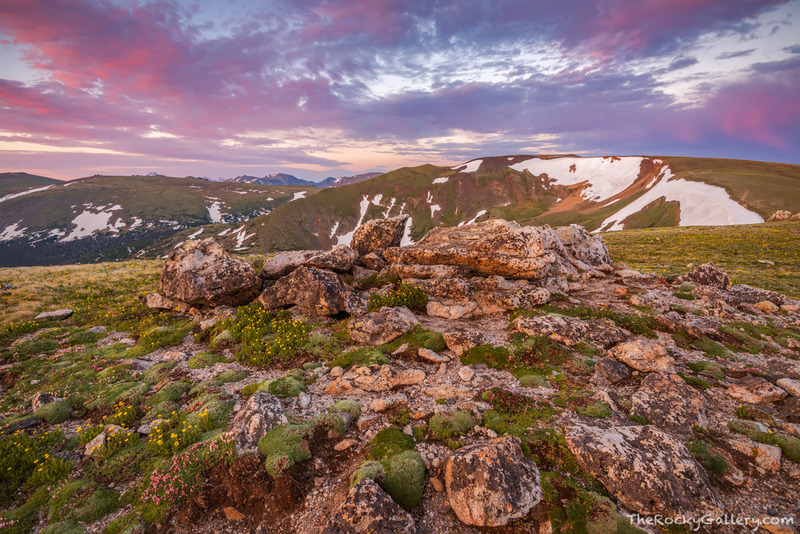 Thousands of visitors to Rocky Mountain National Park will park at the Alpine Visitor Center each year when they drive Trail Ridge Road between Estes Park and Grand Lake and climb this short but steep hill for impressive views like this one. Photo © copyright by Thomas Mangan.